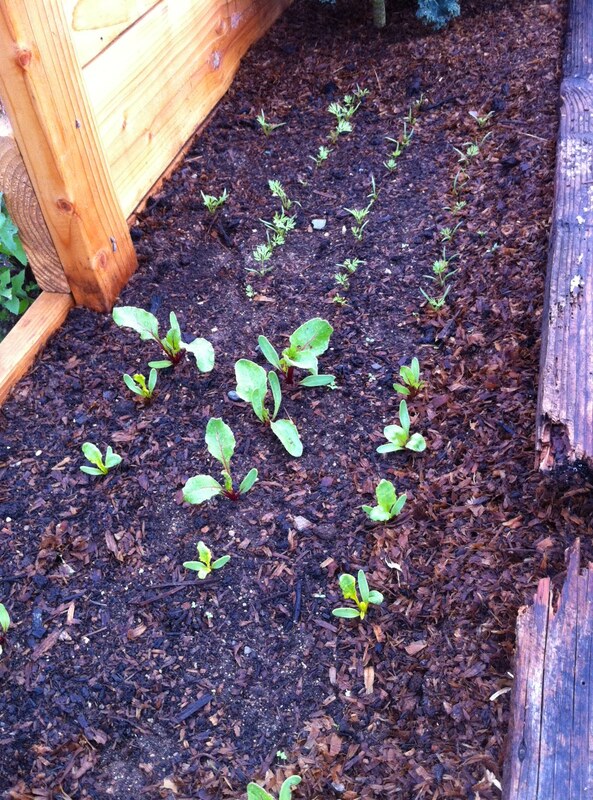 Recently we planted some carrots and beets in the garden. Both are very easy to grow and its always exciting to harvest root vegetables since you never know whats hidden under the surface. We planted two types of carrots, Long Imperator and Kuroda just to have some variety. All carrots pretty much grow the same way with slight variations in carrot length and thickness. 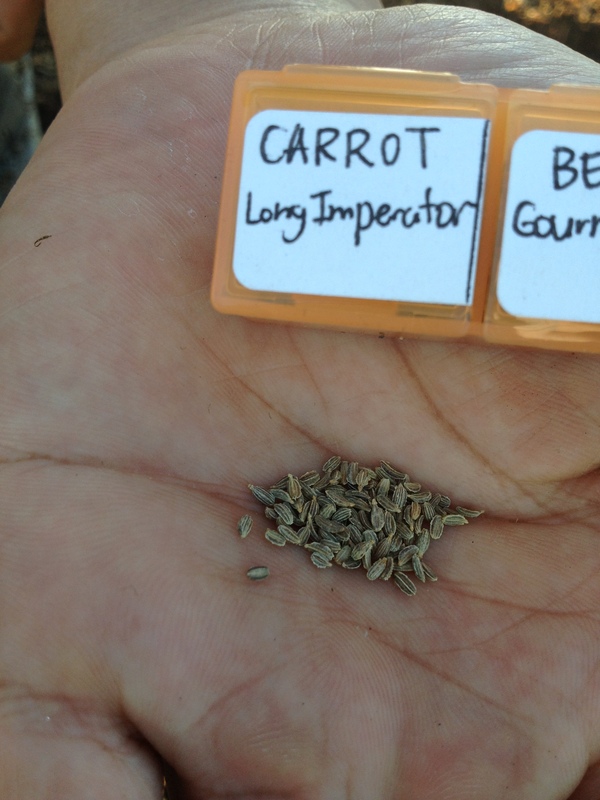 Carrots are best direct seeded in the garden since they don’t transplant well (the long tap root that eventually forms the carrot is very delicate and tends to get damaged during transplanting). To plant the carrot seeds, we first loosened the soil and removed anything that might impede carrot growth (rocks, branches, etc.) so the carrots could grow long and straight. Then we made shallow (1/4 inch) trenches using the edge of a hand trowel for the seeds. After the trenches were made, we sprinkled carrot seeds in to each row trying to keep the spacing between seeds about 1 inch. 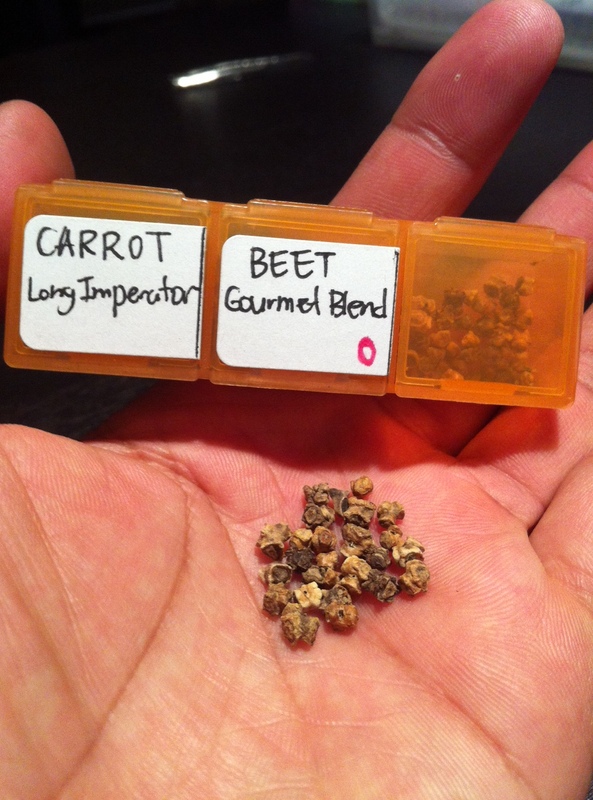 Its better to seed slightly heavier and then thin the seedlings later in case some of the seeds don’t sprout. Then we covered the seeds gently and very lightly tamped the soil to keep the seeds from washing away when we watered. Beets were planted in the same way, but the spacing between beet seeds was 3-4 inches since beets get much larger than carrots. 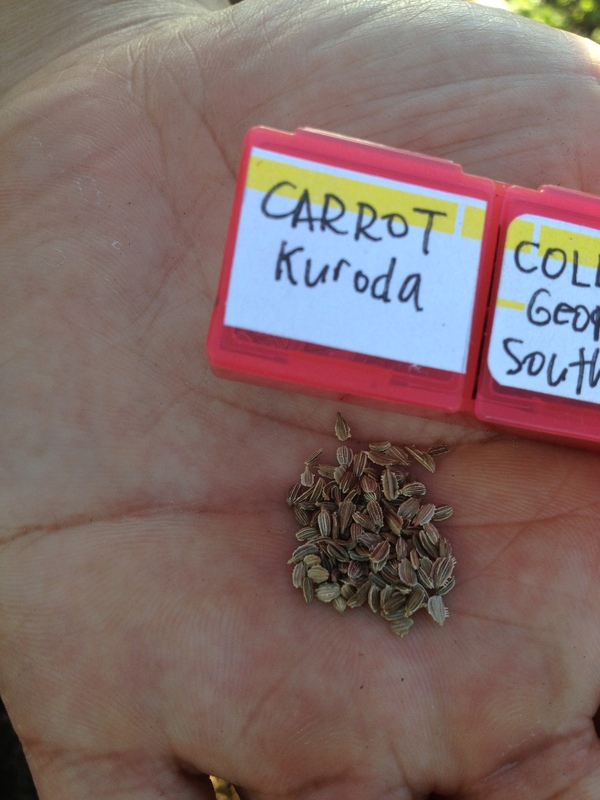 Also, while each carrot seed contains only one “seed”, beet seeds actually contain a couple “seeds”. So don’t plant beets too close together since the majority of the seeds planted will sprout (at least one beet seedling). Beets can also be transplanted so if there are bare areas where seeds didn’t sprout, you can transplant seedlings as you thin out crowded areas. 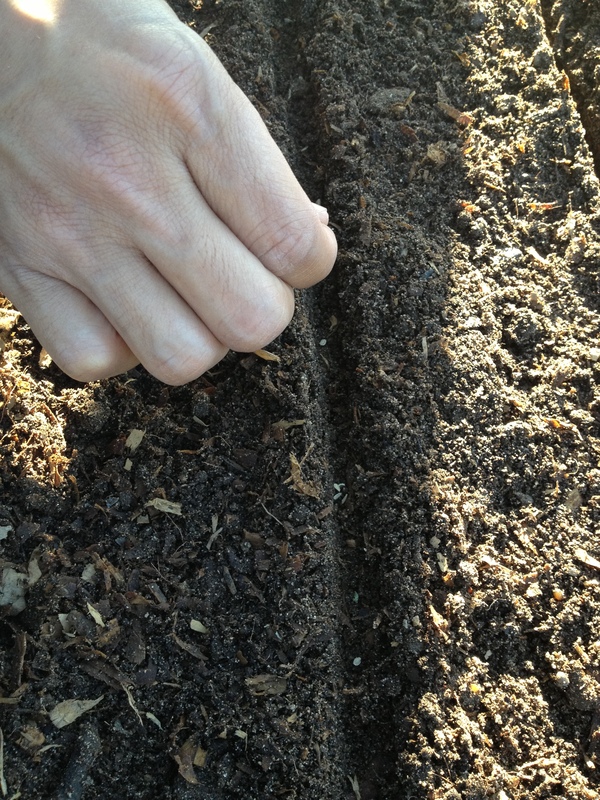 Avoid planting carrots and beets in fresh manure or incomplete compost. The vegetables will grow “hairy” roots and flavor may be affected. 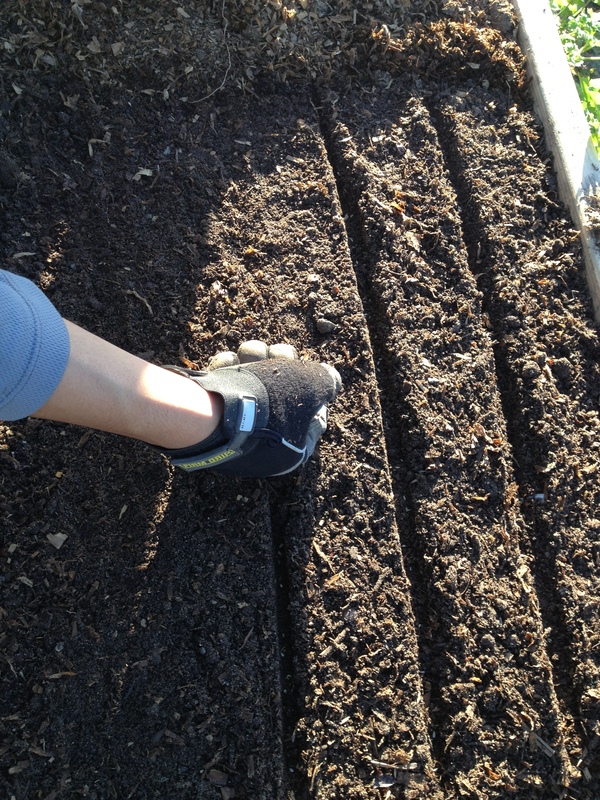 Always mix the compost with the soil well and allow to age for a little while before planting carrots and beets. After planting, remember to water the seeds gently to make sure they don’t wash away. The seeds have to be kept moist, but not wet, to have good sprouting. Overly wet soil will cause the seeds to rot and seeds in dry soil will never sprout. 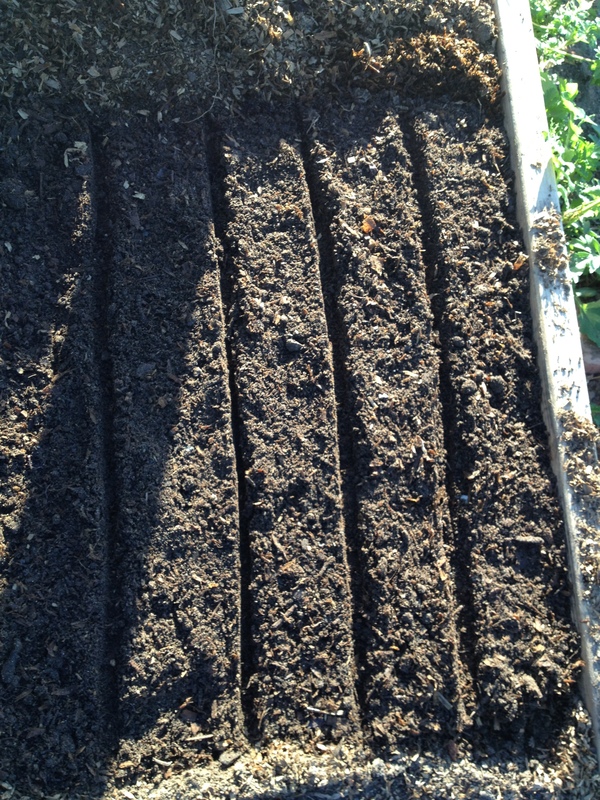 Carrot (back) and Beet (front) seedlings. After the seeds have sprouted and the first set of true leaves (leaves that look like miniature versions of full-grown leaves) have appeared, you can thin the carrots to be 2-3 inches apart and the beets to be 3-4 inches apart. Beets can be harvested when young for baby beets or you can wait till they are full grown for larger beets. Beet greens can also be eaten so don’t throw them out! You can check carrot growth by gently brushing away the soil near the base of the carrot tops to check on the size of the carrot, but its always a surprise on how long the carrot is. Remember to keep the soil evenly moist throughout the growing season to help prevent cracking carrots and you will be rewarded with delicious hidden treats. What a romantic process this is – I love how you call them hidden treats. I now have such appreciation for the carrots I use to make juice everyday.